In the most thorough study of its kind, scientists have now analyzed global patterns of island vertebrate extinctions and developed predictive models to help identify places where conservation interventions will provide the greatest benefits to threatened island biodiversity. Control and eradication of invasive species are effective conservation tools, but conservation scientists have lacked tools for identifying where these efforts will have the greatest impact. The new study, published August 18 in Nature Communications and led by UC Santa Cruz researcher Erin McCreless, closes that gap. Humans have introduced non-native rodents, destructive herbivores such as goats, and predators like feral cats and foxes to islands around the world. These novel disturbances decimate native island wildlife and change entire island ecosystems. At the same time, islands are hotspots of biodiversity and often support rare and unique species occurring nowhere else in the world. Controlling invasive mammal populations, or removing them entirely from islands, is a highly effective tool for conserving island species and ecosystems, and such actions have contributed greatly to the recovery of many threatened island species. Conservation dollars are limited, however, and it is important that invasive mammal management efforts be focused on the islands where they will go the furthest toward conserving native island biodiversity. “Until now, conservation scientists have chosen islands for invasive mammal management largely based on the need to protect a particular native species, or on broader assumptions about how native species are likely being affected,” McCreless said. 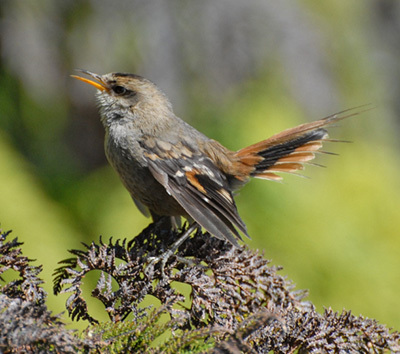 For example, invasive rats are often eradicated on islands where they have been seen eating native birds and their chicks. “However, as these conservation efforts increase globally, conservationists need to take a more strategic approach and choose islands based on a more complete, larger-scale understanding of how different invasive mammals affect native species on different types of islands around the world,” McCreless explained. Are rats more likely to cause bird extinctions on smaller, colder, or wetter islands than on other types of islands? 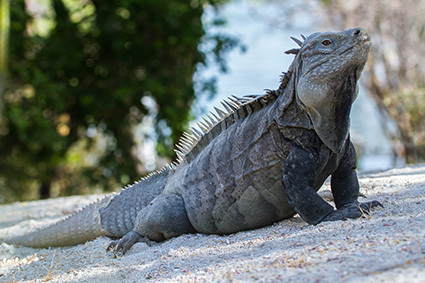 Are native reptiles more vulnerable to the impacts of pigs than to those of rats or cats, and on what kinds of islands are these impacts seen most strongly? Answering such questions can help scientists understand the nuances of invasive mammal impacts on islands worldwide, and then use this information to direct limited resources to the places where management efforts will have the greatest benefits for native species. In the new paper, McCreless and colleagues fill in many of these knowledge gaps by analyzing the Threatened Island Biodiversity Database, a recently developed, global dataset of threatened native species and invasive mammals on islands. “We analyzed, for the first time at such a large scale, global patterns of island vertebrate extinctions in relation to different types of invasive mammals and physical island conditions,” McCreless said. The study included more than 1,200 globally threatened or extinct vertebrate species that live (or lived) on more than 1,000 islands around the world. The authors found that just a few types of invasive mammals – rats, cats, pigs, mongooses, and weasels – are most strongly associated with the extirpation of native species (island-level extinction). Importantly, the study shows that the impacts of each mammal varied widely across both the type of native species being affected (native amphibians, birds, reptiles, or mammals) and the conditions of the islands on which they occurred. The authors used modeling approaches to predict how removing invasive mammals on different islands could reduce extinction risk for threatened species. In one of many examples, they showed that removing invasive mammals from small, dry islands could halve the extirpation risk for threatened native birds and mammals, but doing so on large, wet islands may have less benefit. “This kind of information is critical for conservationists trying to decide where to spend limited funds,” said coauthor Donald Croll, professor of ecology and evolutionary biology at UC Santa Cruz. Coauthor Nick Holmes, science director of Island Conservation, said the study provides valuable guidance for conservation interventions by his and other groups. 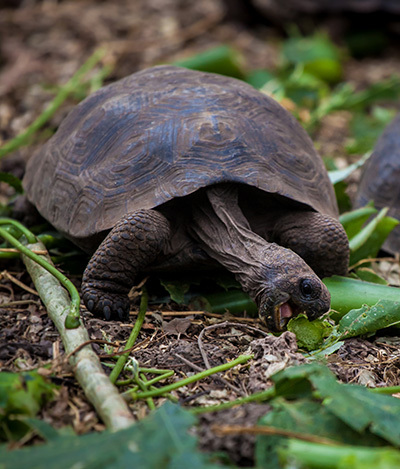 “This study is a valuable contribution for island restoration and conservation planning, and highlights the value of tackling invasive species challenges to prevent extinctions on islands,” Holmes said. 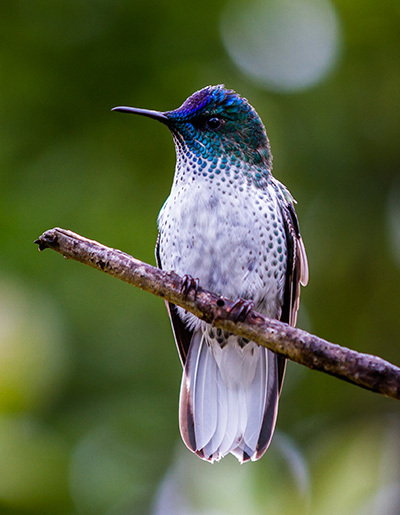 In addition to McCreless, Croll, and Holmes, the coauthors include David Huff at NOAA, Bernie Tershy and Dena Spatz at UC Santa Cruz, Stuart Butchart at BirdLife International, and Chris Wilcox at CSIRO, Australia. This work was funded by the National Science Foundation and the Switzer Foundation.